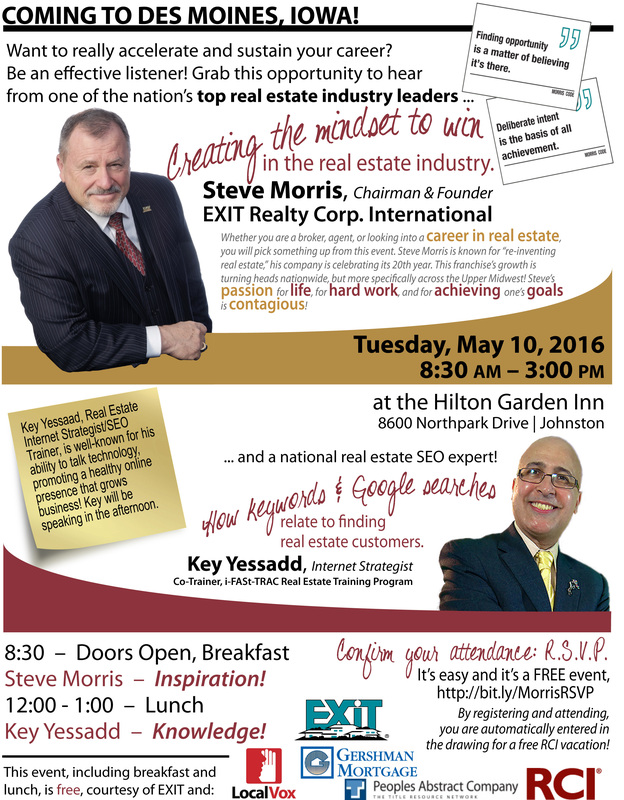 We are excited to be hosting a great seminar on May 10 on How to Develop a Winning Mindset. 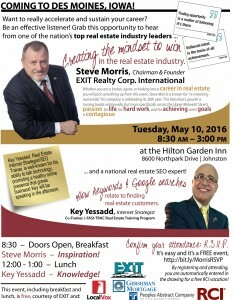 This will be a great event for anyone in the real estate industry – or who might bethinking about a career in real estate – who is looking to change their paradigm on how to develop an attitude focused on success. In addition, we will learn from the expertise of an industry leader on how to maximize your online presence and win more clients. This event is free and includes both breakfast and lunch.